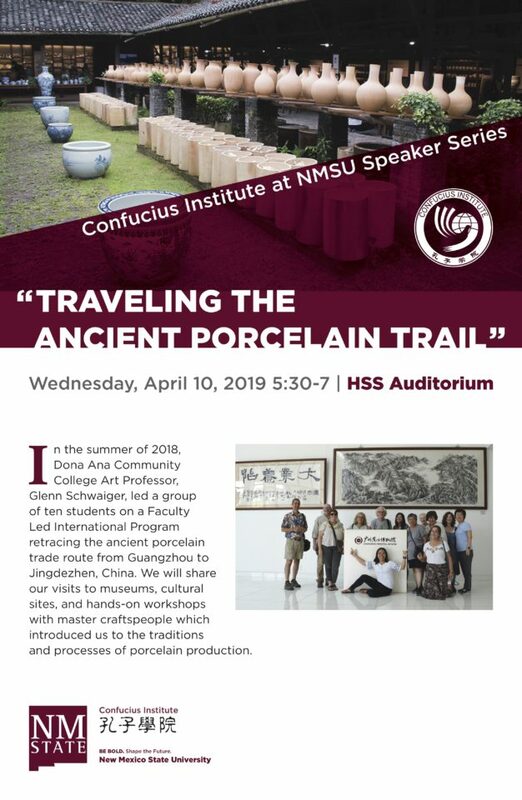 My students Karl Heist, Martha Roditti, Mary Lou LaCasse and I will speak about the class that went to China last year and retraced the ancient porcelain Trail. The presentation is in Las Cruces NM and details are below. 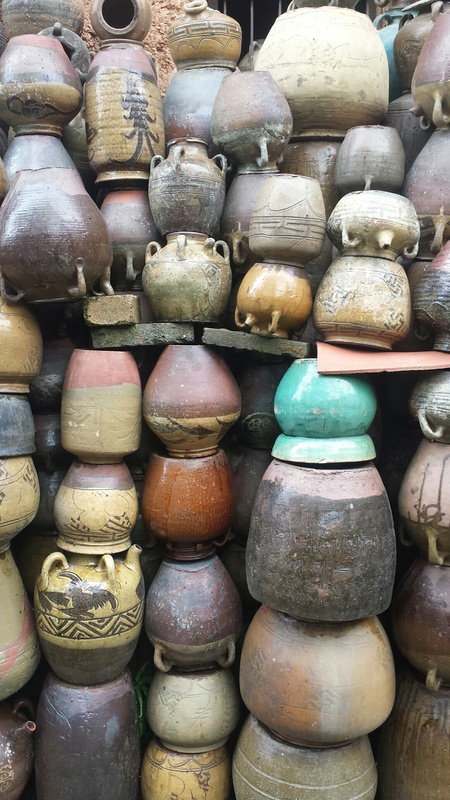 Wall of Pottery at Jackson Lee’s facility in San Bao. 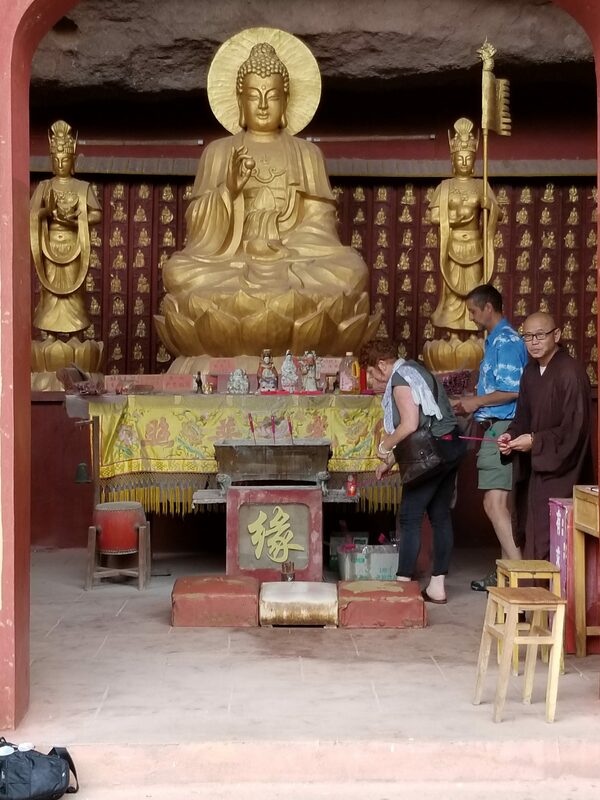 People are so friendly here in China. 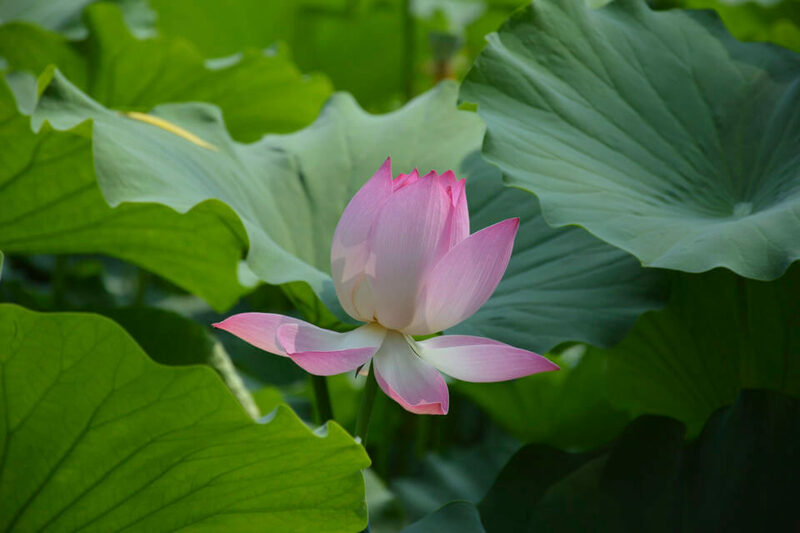 Lovely image of lotus flower. 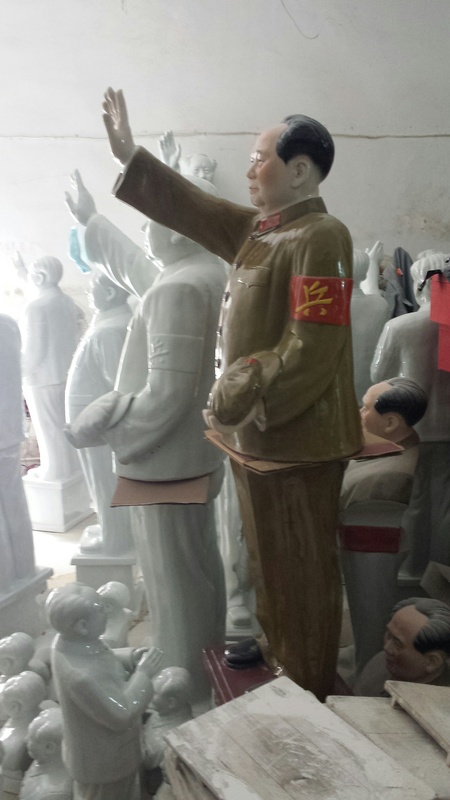 Kiln museum Jingdezhen China. 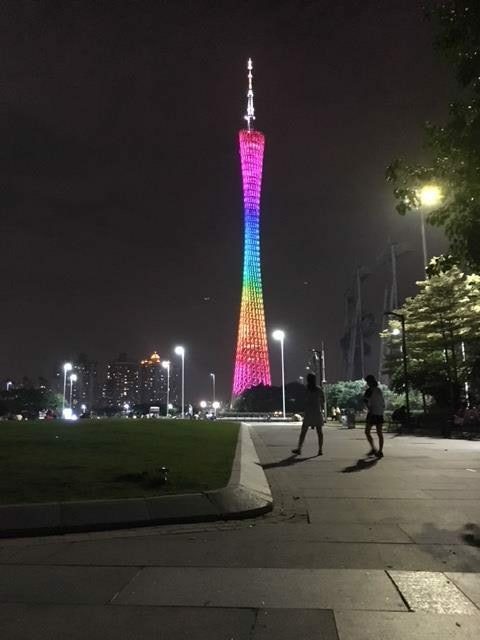 Really tall and fancy radio tower in Guangzhou. 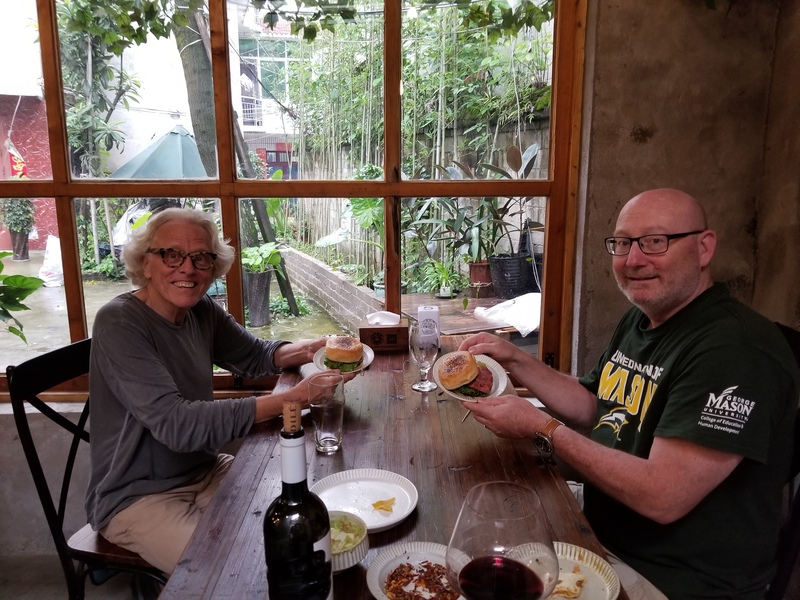 One our first meals together. 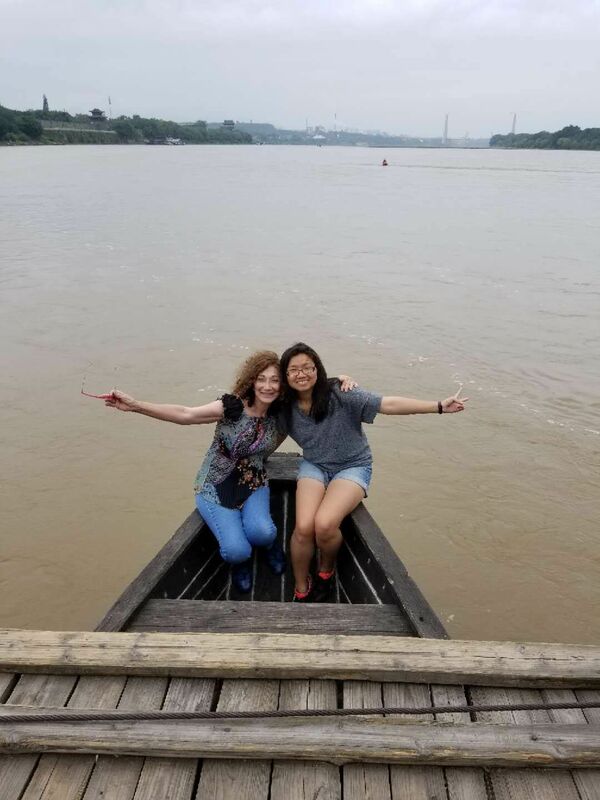 Sara and Ying on floating bridge in Ganzhou. Entrance to the “shard market.” A wild place where you can buy anything from fine China to live eels. 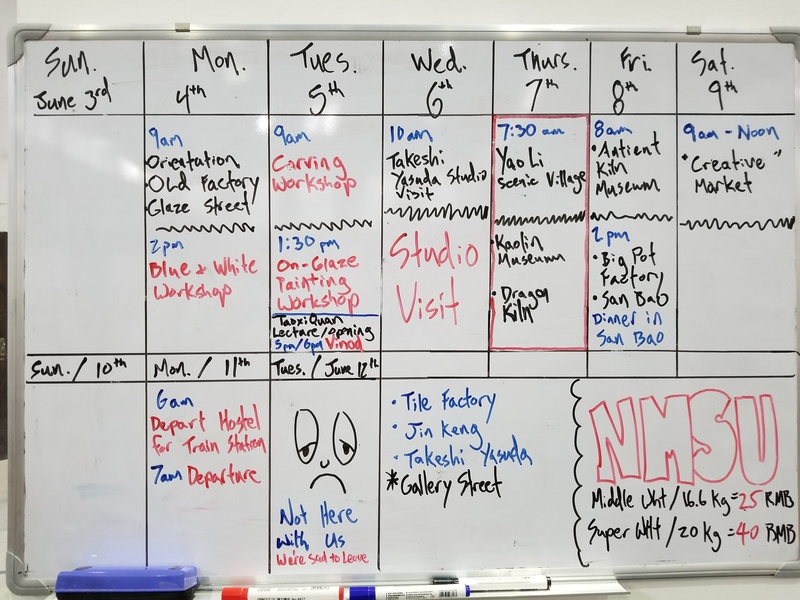 The schedule for our week in Jingdezhen. 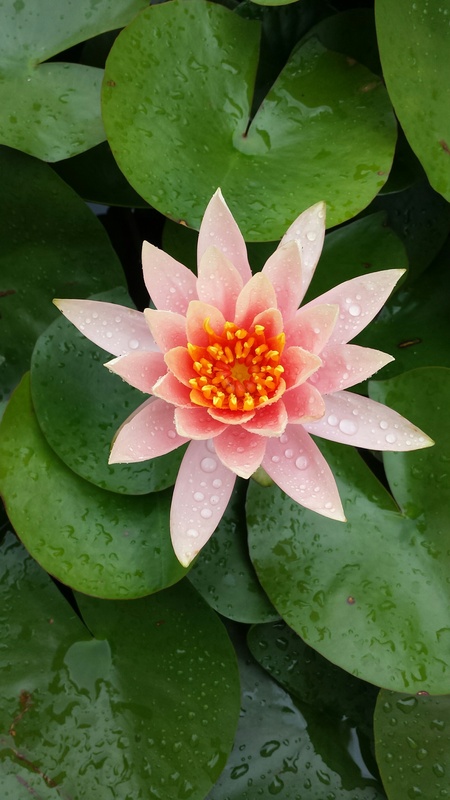 An absolutely amazing line up of cultural and learning experiences. 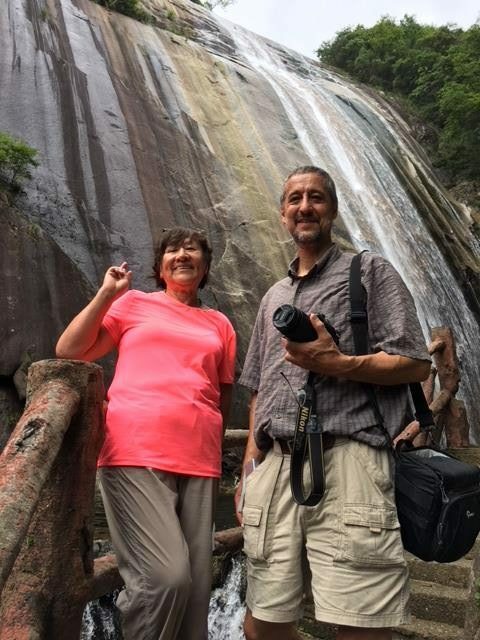 Hey, we came half way around the world – we might as well see it all. There is no such thing as “too many Maos.” Mold ceramics shop on Pottery Workshop campus. Excited to be on another super location tour. 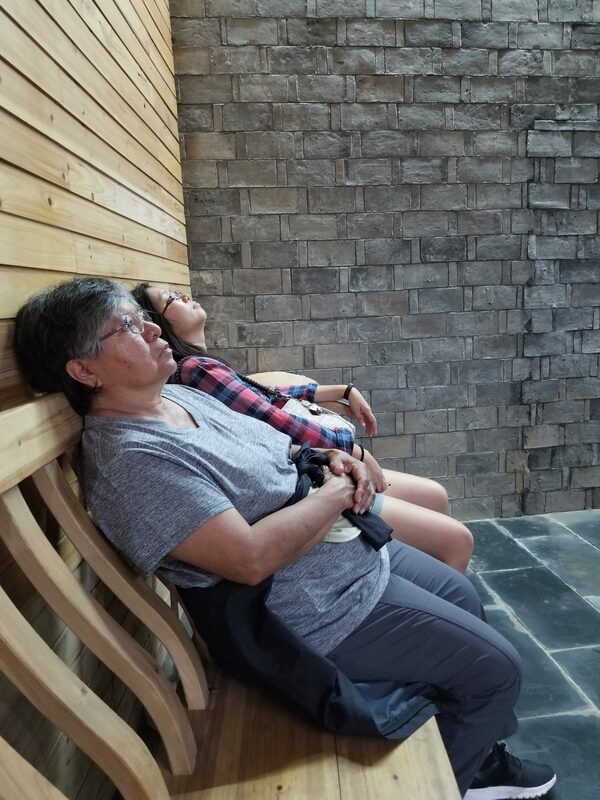 This picture captures the high energy and focused learning that was typical of team outings. 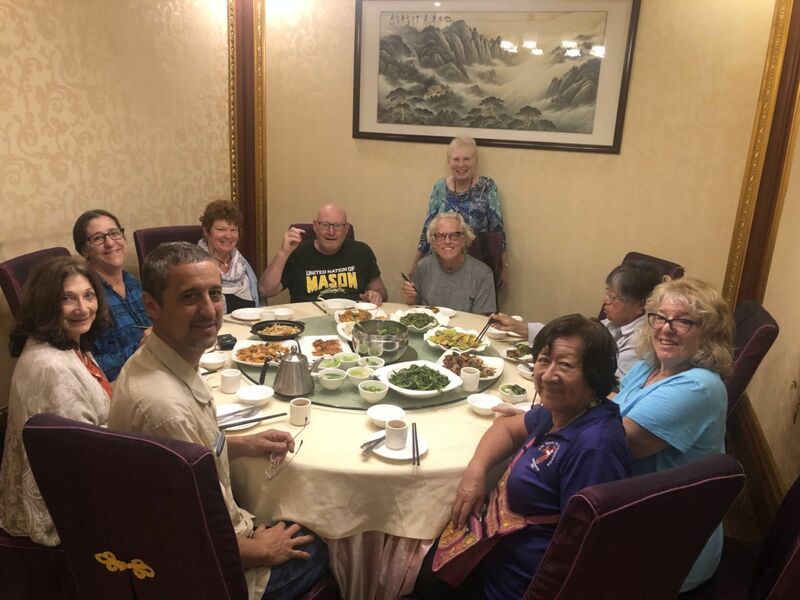 Our group from Dona Ana Community College arrived in Hong Kong on May 31 after a 19 hour non-stop flight from Dallas, Texas. 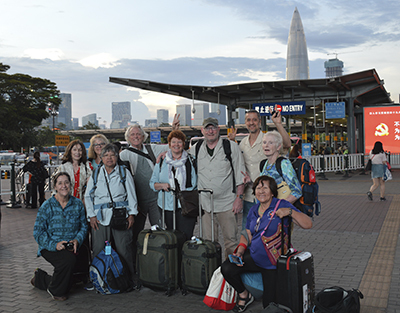 We were all relieved for the opportunity to move about without the confines of an airplane seat. 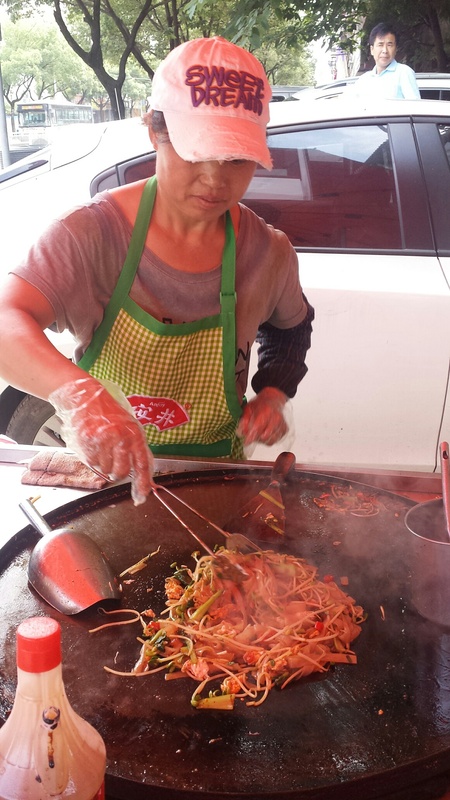 Our Chinese guide, Maggie, met us at the airport and helped with the ground transportation to dinner and lodging. 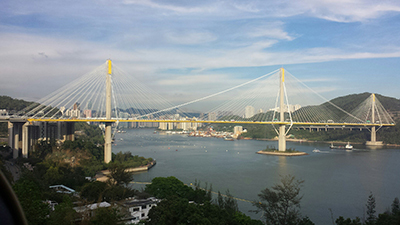 Hong Kong and Guangzhou are very modern cities with many new skyscrapers. 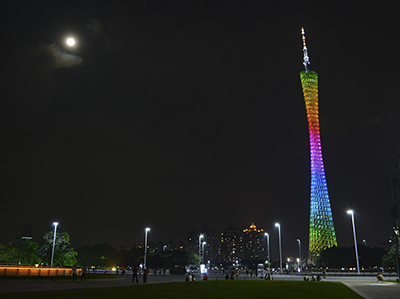 This one is one of the tallest in the world, Canton Tower. 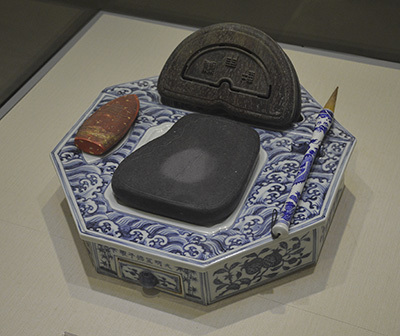 In Guangzhou we visited the Oriental Museum and viewed ceramics and porcelain representing thousands of years of Chinese history. 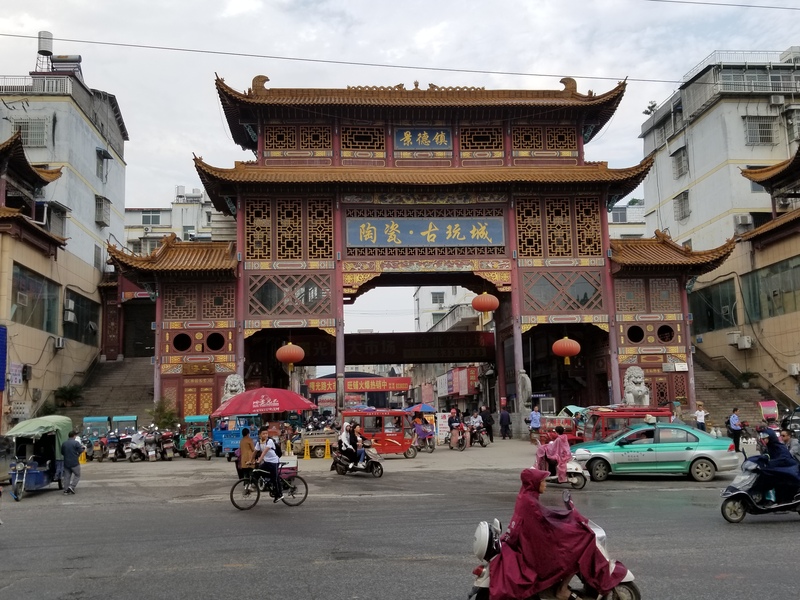 Our travels are coordinated to follow the porcelain manufacturing and trade route from the trade port of Canton (Guangzhou), to the porcelain production center of Jingdezhen. 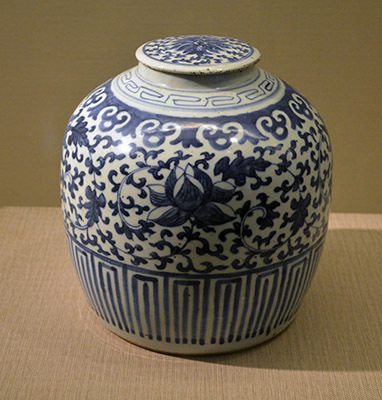 We viewed examples of porcelains from Tang, Han, Song, Yuan, Qing, and Ming dynasties. 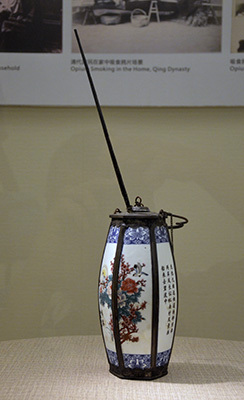 Also represented in the collection were ink paintings, clocks, opium pipes, calligraphy, and contemporary art. 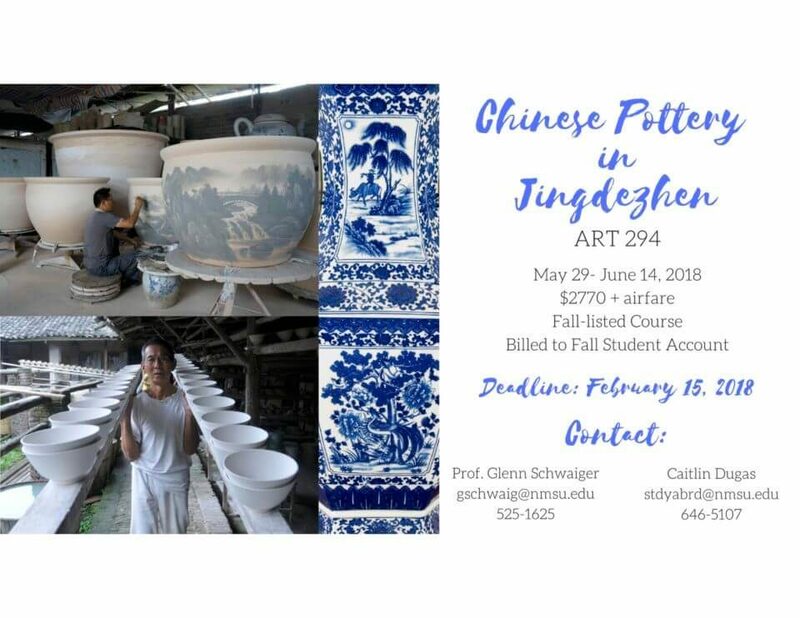 ART 294 – Pottery in China is designed to introduce students to the history and culture of China with an emphasis on porcelain trade and manufacturing. 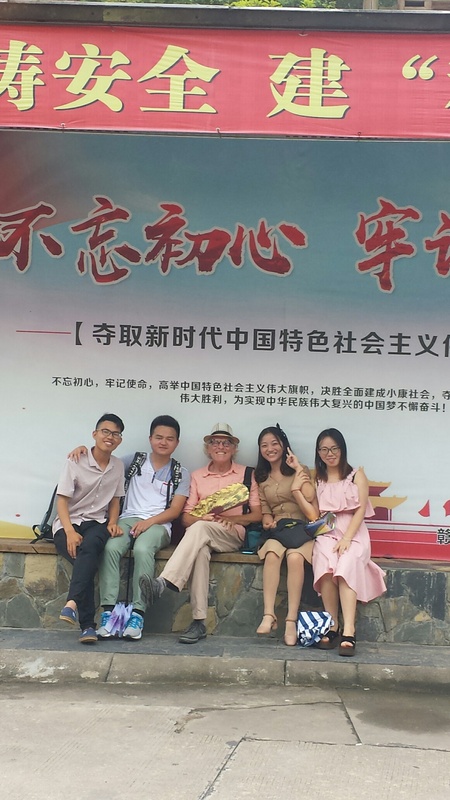 Students will travel the ancient porcelain trade route from Guangzhou to Jingdezhen to Shanghai. 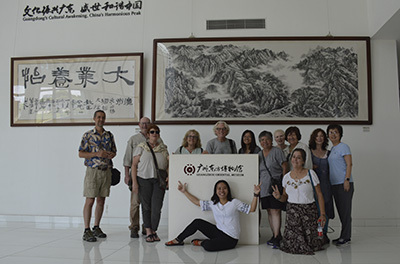 In Jingdezhen, students will learn about the materials and techniques unique to porcelain production from local master craftspeople. 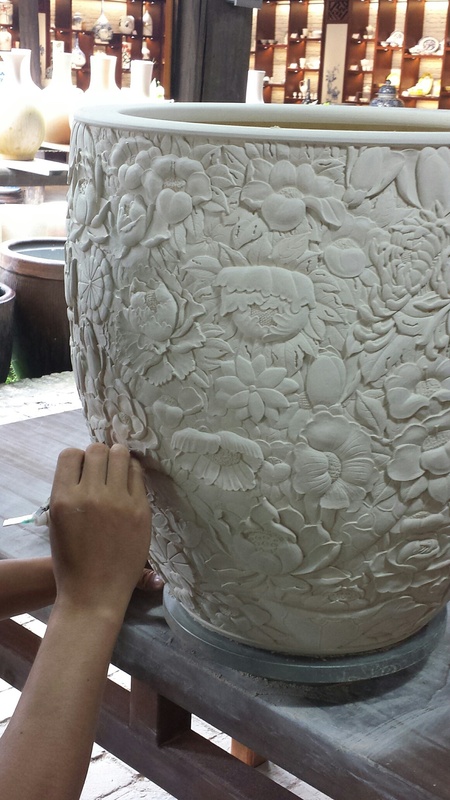 They will apply what is learned by creating their own porcelain artworks. 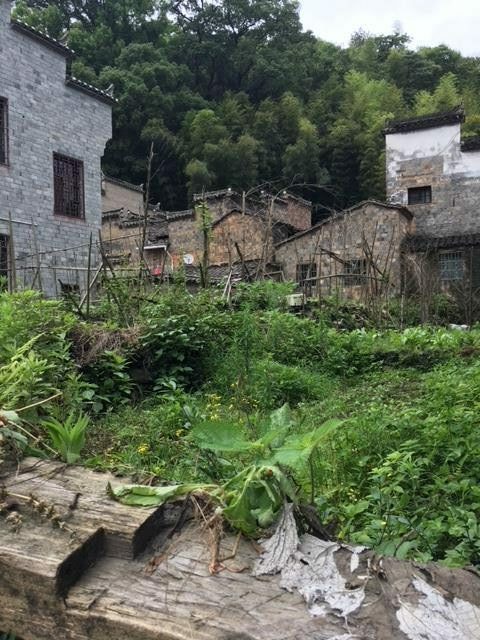 Visits to historic sites such as Guangzhou, Meiling Pass, Ancient Kiln Museum (Jingdezhen), Yaoli and Gaoling villages (Jiangxi Province), and Shanghai will introduce students to the origins of porcelain production and its influence as a world commodity. 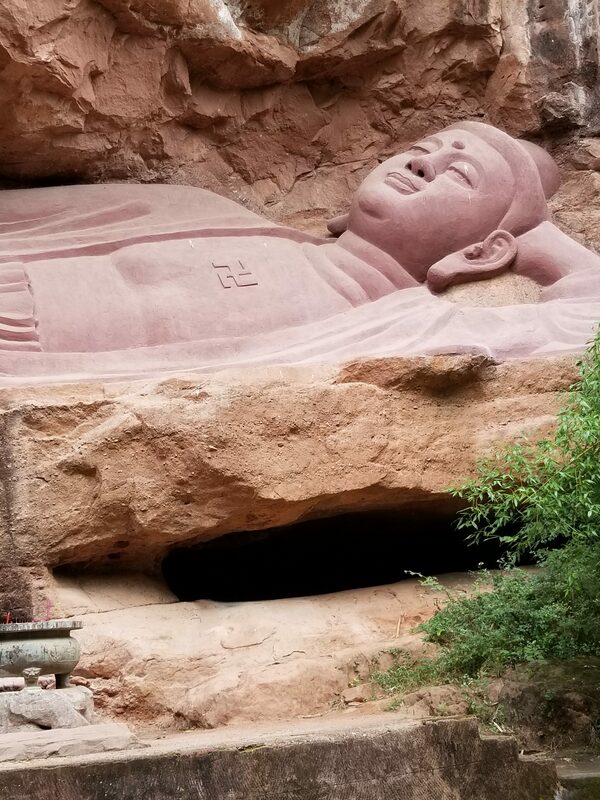 I’d like to personally invite you to join my class and travel to China. 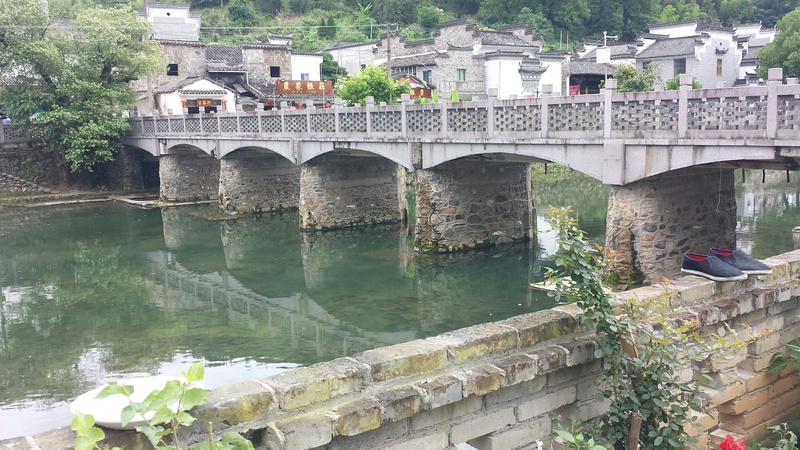 Study abroad and trace the history of porcelain along the Imperial Way. Deadline has been extended. You must place a deposit by February 21st to secure your spot. and how it has, and continues to influence contemporary art. Lecture is free and open to the public.